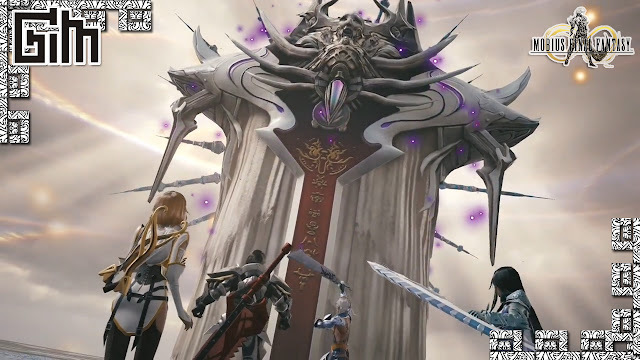 Recently, Changyou publish a teaser about their new Fantasy Action MMORPG game, God Slayer. 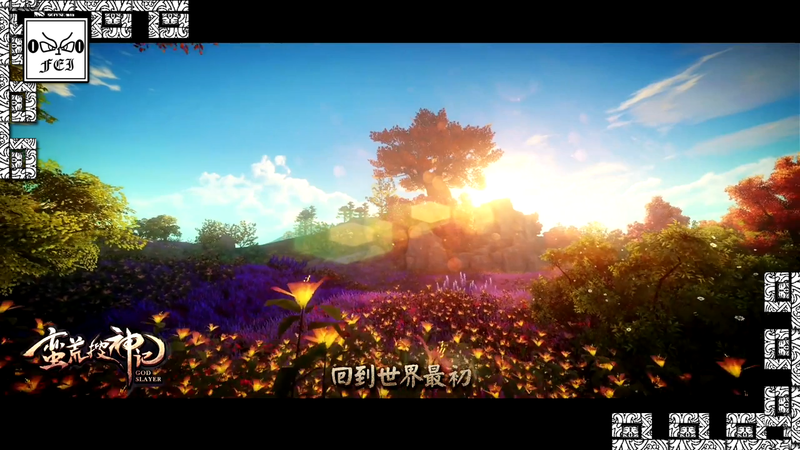 As We expected, a game with Cry Engine 3 will produce beautiful objects & landscapes. 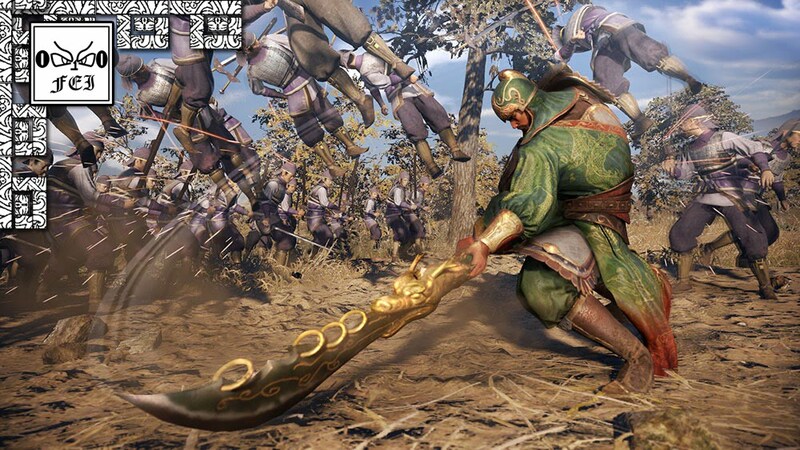 Dynasty Warriors 9 is the lastest game developed by Omega Force & published by Koei Tecmo for Playstation 4. 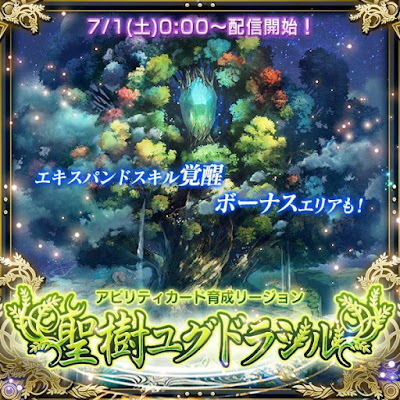 Here's another Extra Map in Mobius Final Fantasy, "Sacred Tree Yggdrasil", a fodder paradise & best place to unlock Extra-skill. When i knew Bandai Namco have collaboration with Famous Guilty Gear & BlazBlue Developer, Arc System Works, i felt really excited. 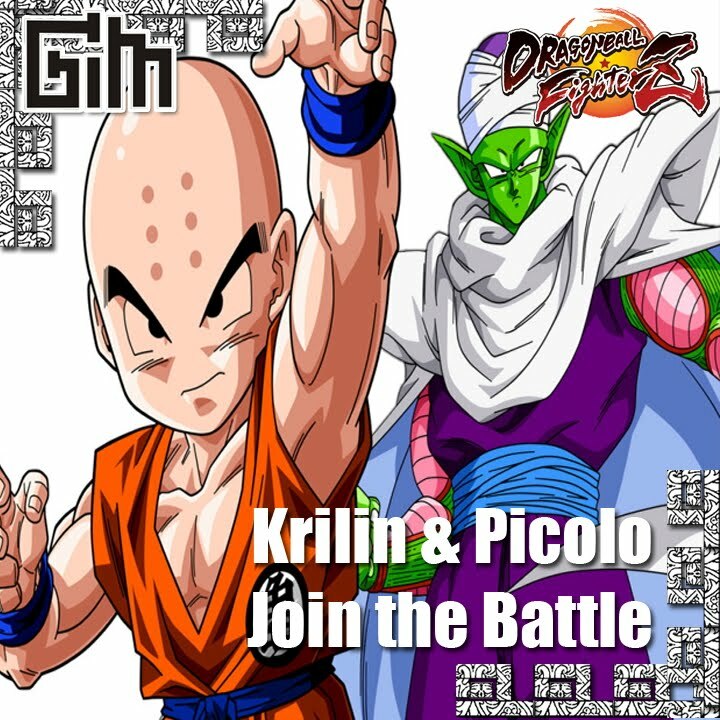 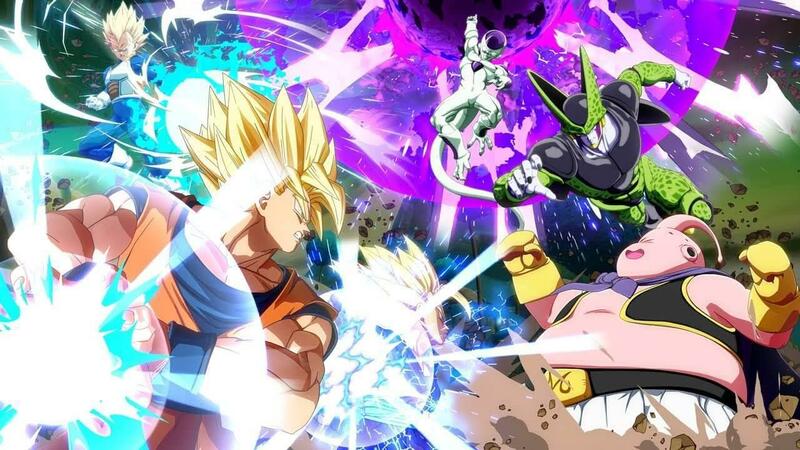 I believe Dragon Ball FighterZ will be an awesome Game. 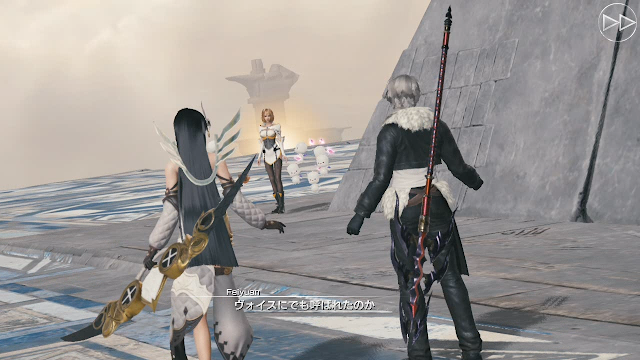 In commemoration of returning collaboration, "Lightning Resurrection", Lightning will participate in multiplayer. 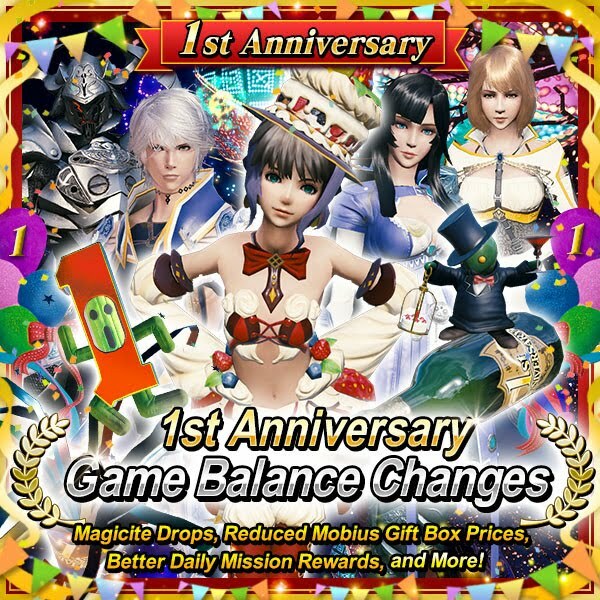 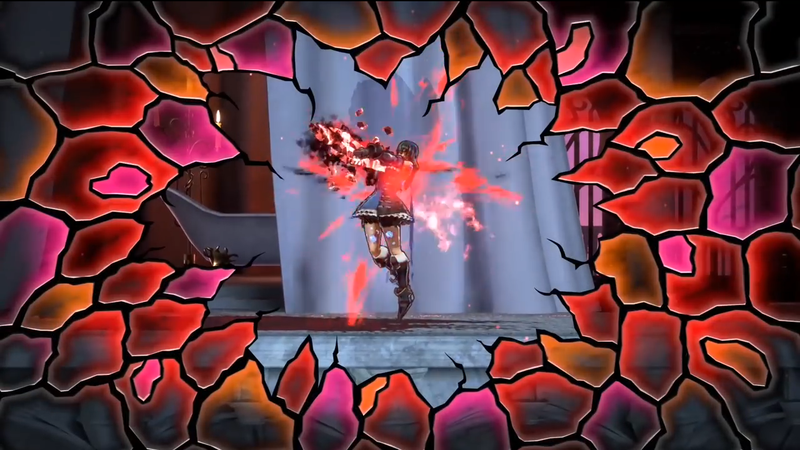 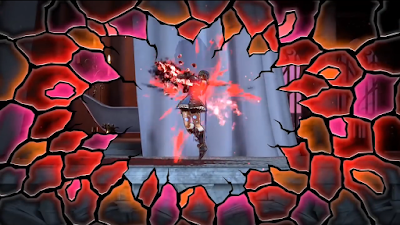 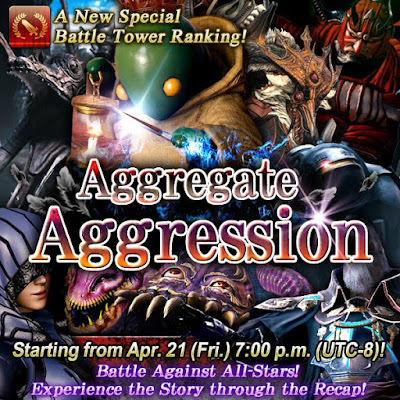 To celebrate Chapter 7 arrival, Square-Enix held Welcome Back & New Player Campaign. So make sure to use this opportunity. 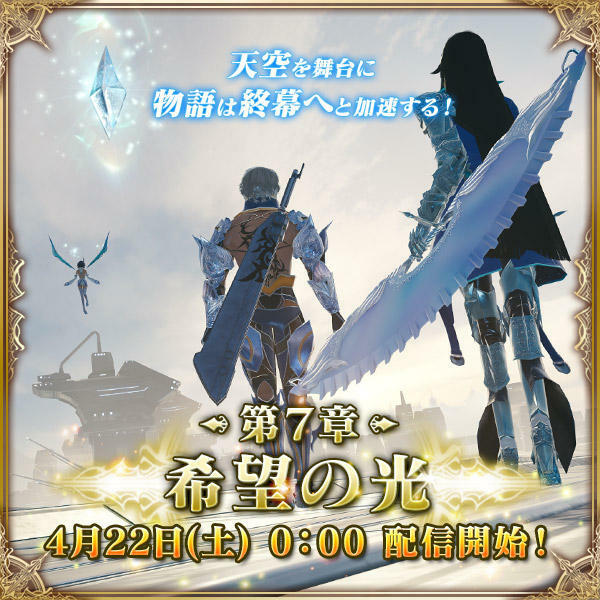 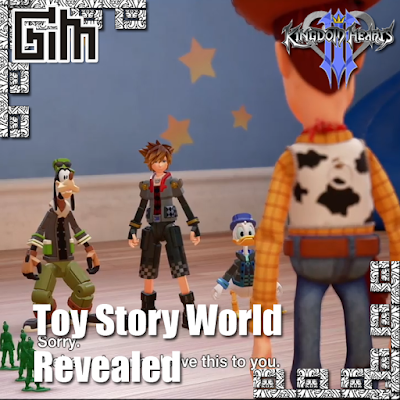 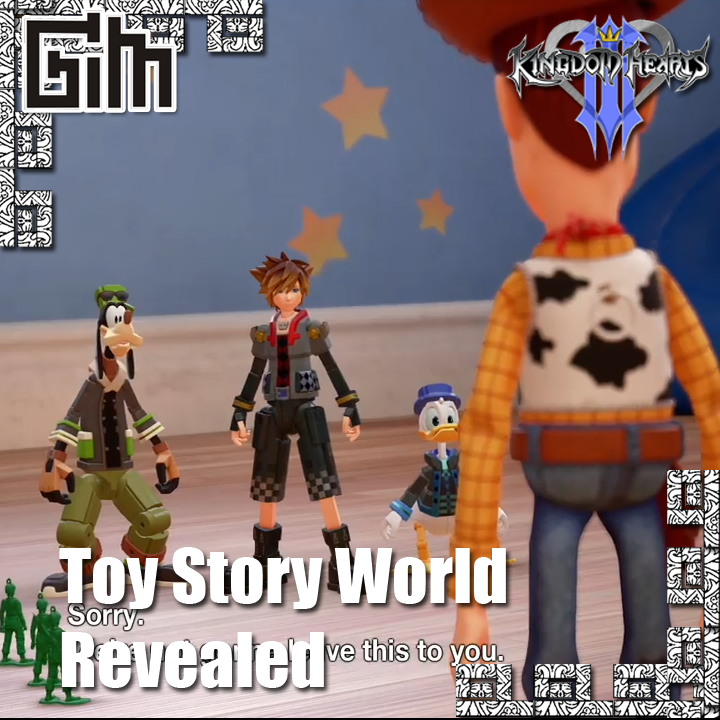 Chapter 7 appear on the World Map after cleared Chapter 5 part 2, it means we got access to Chapter 7 before clearing Chapter 6 part 1 & part 2. 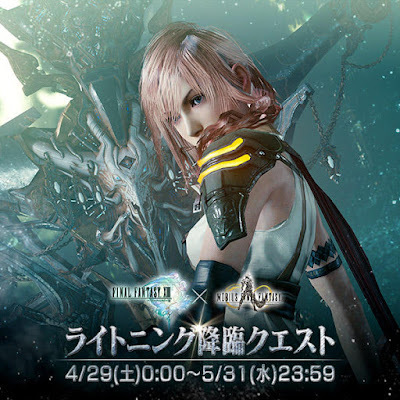 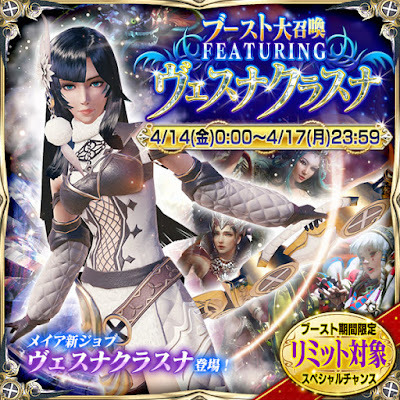 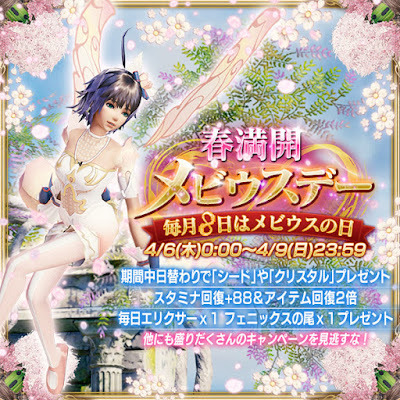 Mobius Final Fantasy Japan got new ability cards featuring New Meia's Job: Vesna Krasna. 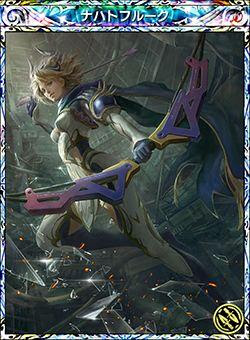 It's a mage Job that master warrior ability cards. 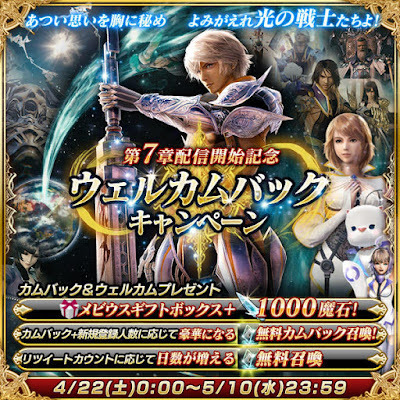 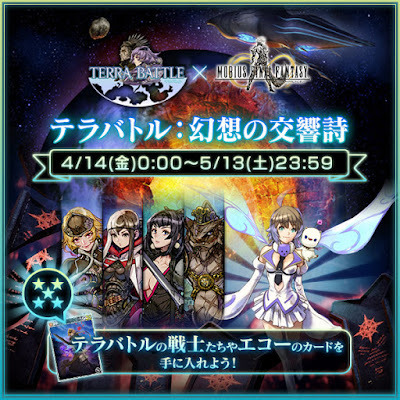 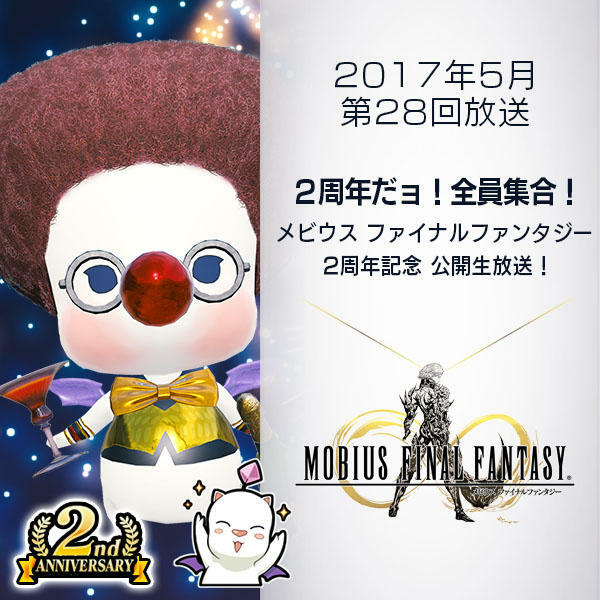 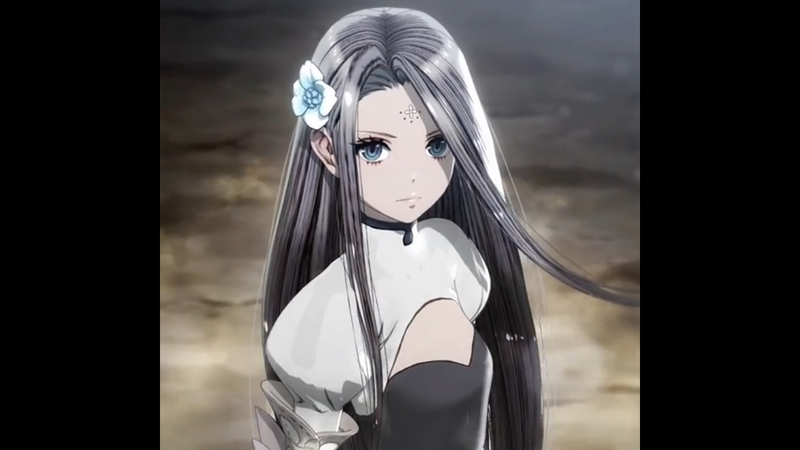 Terra Battle return to Mobius Final Fantasy, the event called "Symphony of Reverie". 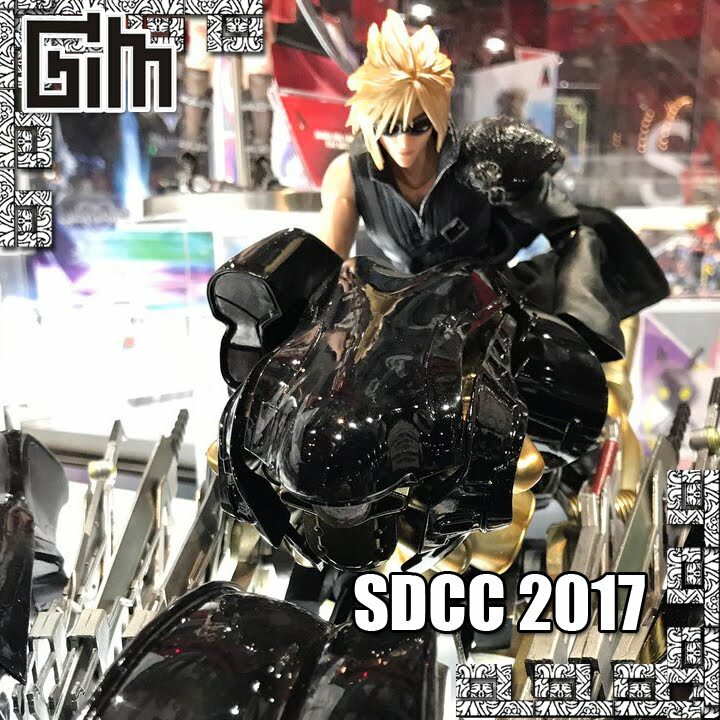 "Mobius Day" on the 8th of every month.